With over 490 branches nationwide, Plumb Center is one of the UK’s leading suppliers of plumbing and heating products including central heating systems, bathrooms, showers, drainage and renewable technologies. Stocking over 45,000 products from the industry’s leading names such as Mira, Worcester Bosch, Ideal Boilers, Grundfos, Baxi, Fernox and Ideal Standard, customers can always find what they need to get the job done. And, with next day delivery available from every branch, online or by phone, goods can be delivered direct to site, making it ideal for bigger orders or heavier items. 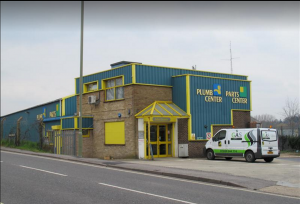 In September 2010 Plumb Center opened the first of a new generation of branches boasting a working renewables display area, a bathroom showroom and a training area. This was the first in a programme of new generation branches with others now open in Orpington and Exeter and more to follow. It has also developed training centres in Leamington Spa and Sevenoaks where around 13 renewable products courses are on offer. To supplement this it has opened satellite training centres in in the new generation branches that will offer the most popular courses such as thermal solar and unvented cylinder. Plumb Center also has 38 commercial Centers of Excellence located in carefully selected branches across the UK. Each Center of Excellence has a dedicated commercial stock holding and specialist ‘commercial champions’ on hand to provide commercial plumbers and installers with expert information and advice. This allows commercial plumbing companies and installers wishing to enter the commercial market to find everything they need under one roof. In addition, there is a team of specialists working behind the scenes who liaise with the industry’s major suppliers to ensure the latest and most innovative products are available at competitive prices in branch or on-line 24/7. This ensures that commercial plumbers and installers undertaking contract, maintenance, installation and emergency cover work will always have access to the best possible range of products and technical advice available.